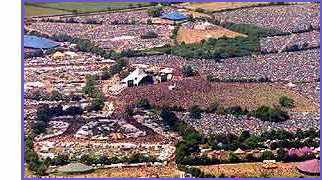 Glastonbury Forum: Has Glastonbury Sold Out? Topic: Has Glastonbury Sold Out? As the largest open air music and performing arts festival in the world, Glastonbury has just celebrated its 40th anniversary. But organisers now face accusations that this trendy pilgrimage has taken on a more corporate dimension. Rajan Datar went behind the scenes at this year's festival.